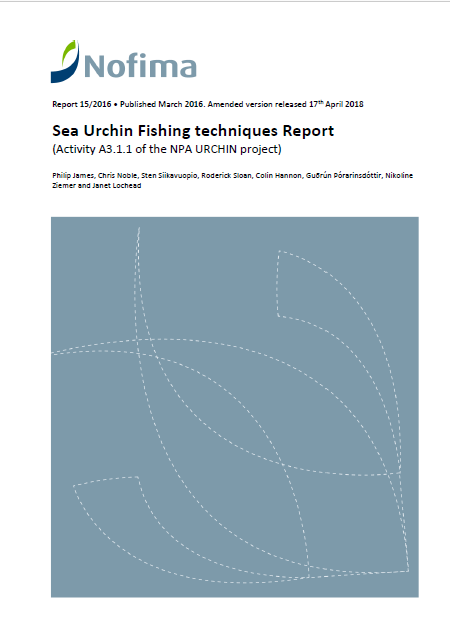 In March 2016 the ‘Sea Urchin Fishing Techniques Report’ was published on the URCHIN project website. This report has now been revised to include an Appendix which describes a novel harvesting system that was tested in Norway in 2017. A Norwegian SME (Pure Arctic AS) developed the harvesting system and we believe it is an exciting new type of harvesting technique which much potential (see the full report attached below).